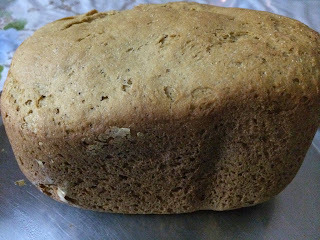 Ever since I have got my bread maker, I have been making different kinds of bread. One problem however was 100% whole wheat bread. I never got it right. All recipes in the recipe book that came with the bread maker worked really well. Except the whole wheat one. The recipe with half whole wheat and half maida (refined flour) also worked quite well. But for me the holy grain, oops grail, was whole wheat. We have it dinned into our heads by everyone around us that whole wheat is good, maida is bad! One of the ingredients in the recipe from the recipe book was brown sugar. I had gone to Q Mart and found two types of brown sugar. One was light brown, the other dark brown. I picked the light one. The internet revealed that there are many more types of brown sugar and I was not really sure if that was the problem! In the US, UK and other countries, they have a wide variety of ingredients that are not available in India. I needed to research a lot to figure out the different types of flour, the different types of sugar and more! This recipe resulted in some very dense, not at all light and fluffy bread. I tried some variations of that recipe - changed the quantity of water, the yeast, added some butter. To no avail. I scoured the internet to find that whole wheat bread rose better and came out light and fluffy by the addition of gluten. Obviously gluten was not available in stores in India! I found Bob's Red Mill on the internet which seemed to be a good place to buy such stuff. I sent the link to a cousin who was coming to India late November and had her buy some and bring it when she came. Yesterday, I finally got some time to try the whole wheat bread. All I did was to use the same recipe in the book - with two changes compared to what I had done the first time - use the darker version of the brown sugar and two table spoons of gluten. I kept a close eye on the bread maker. The first kneading cycle. The first rise. The second kneading cycle. The second rise. Then the final baking cycle. The bread did look promising inside! It rose very well. When the three hours and forty minutes were completed, I took the loaf out with some trepidation. Would all the research and effort still be in vain? I do not know if you can control this in bread maker but I was thinking whole wheat flour has more protein and hence more gluten! Whole wheat flour has more fiber due to presence of bran. Bran can cut the gluten matrix formed when flour is mixed with water. Since matrix is broken, trapping CO2 produced by yeast is not easy. This trapping helps to raise the bread! > Right amount of water and more kneading should help form more gluten. The gluten you are adding is derived from wheat. 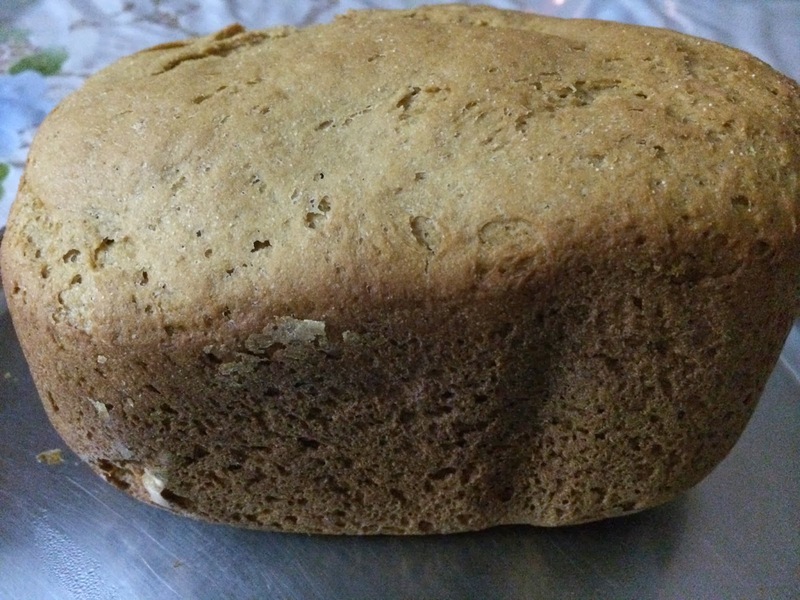 > By replacing little whole wheat with little maida you reduce little insoluble fiber in your bread. You can always compensate for this insoluble fiber in your diet through other foods if you do not eat bread as your meal all day long.